I’m definitely showing my age, because when I read this sentence in SilverWolf’s recent article on Refunct I thought, “Wait, are there people who didn’t grow up on Source games?” Because years later I’m still struggling to unlearn the muscle memory of crouching during a jump for a free height boost. In modern games that tends to lead to crouch overriding jump and gluing you back to the floor. 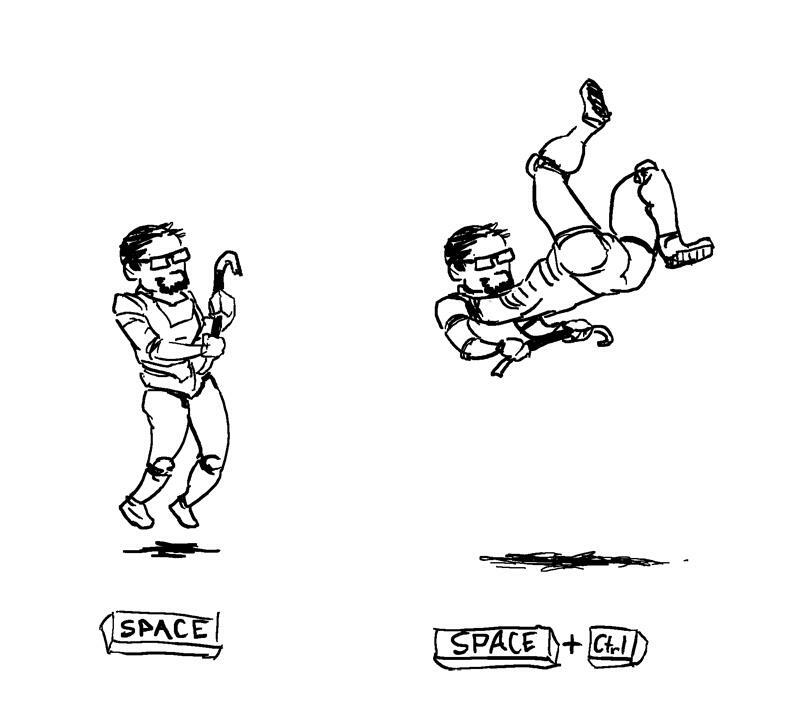 How jumping works in Source games. Unknown artist, please let me know if you can find them. But that got me thinking about crouching as a mechanic. It’s honestly kind of weird so many games decided to add a motion that normal humans beings don’t use all that often. One of the oldest games I can find that contained a crouch mechanic was the shareware game Capture the Flag, which had something of a turn-based feel to it and allowed the runners to change their stances and running speeds to balance how stealthy they were being in their forays into enemy territory. This concept of crouching as an indicator of stealth can either be subtle (simply reducing footstep sounds or your model size) or shorthand for switching into a ‘stealth mode’ (most famously used by Bethesda games like Fallout or Skyrim). The first-person shooter genre found another useful reason to include crouching due to the camera style heavily immersing the player in the game world. 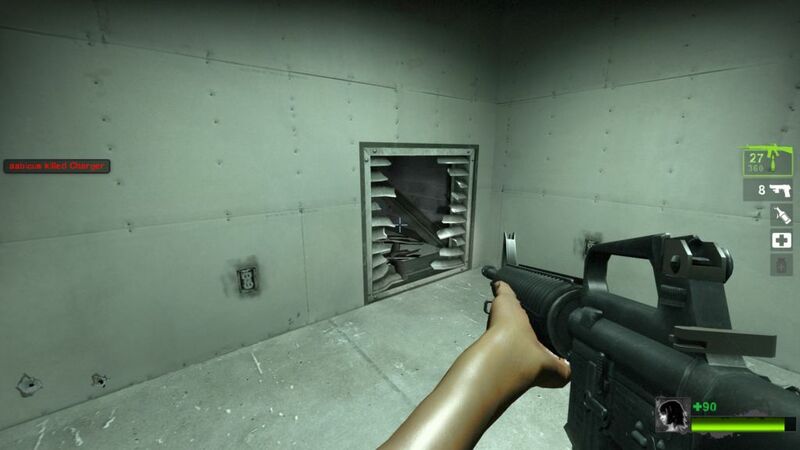 The POV limitations meant that maps could be designed with crawlspaces, vents, or other claustrophobia-inducing entryways that required crouching to fit into. Strangely, I don’t often seem to find games that utilize both of these crouch functions at the same time; crouching is either used to shrink your map-collision hitbox or for entering “stealth mode”, not both. I think it’s because those functions hail from different design philosophies; games with a ‘stealth mode’ usually have more controlled gameplay and movement, as opposed to the arcadey arena-shooters like Half-Life, and are more likely to use contextual prompts (ie Press E to enter the manhole) that prevent player abuse of crouching in unintended places. Since stance changes can be unclear and possibly annoying to first-time players, some games like Left 4 Dead 2 will automatically switch you to crouch mode when you mash your character against an crouching-required entrance. But one thing on most modern games do agree is that crouching comes with accuracy bonuses. As I mentioned before, this hails from the military concept of ‘duck walking’ and represents the notion that a crouched position gives you additional control over your firearm’s stability. Games that do this sometimes take it a step further and allow the player to go prone, though the prone position often comes with requirements for use (either a sharpshooting class like in Battlefront II or specific accuracy-relevant firearms like in Payday 2) to reflect its status as a specialized position not all firearms are suited for. Games that use prone as an additional stance for crawling under map blockades (like in Unturned) are the exception, though this philosophy isn’t super popular as it feels a tad redundant to have two different degrees of crawlspaces. 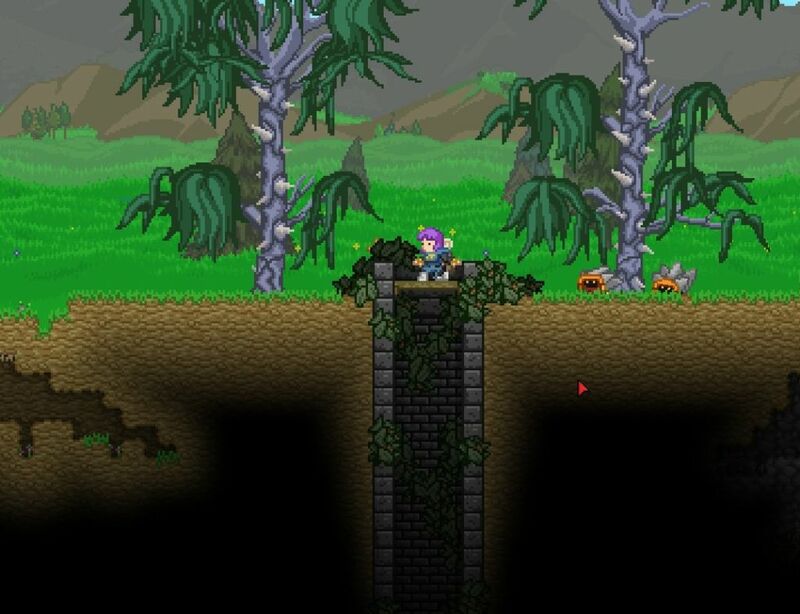 In platformers like Starbound, double-tapping crouch often allows the player to drop through standable ledges.